Over the Christmas I went on a European getaway. I wanted somewhere cheap and cheerful and Cologne was exactly that. In actual fact it went above and beyond expectations. 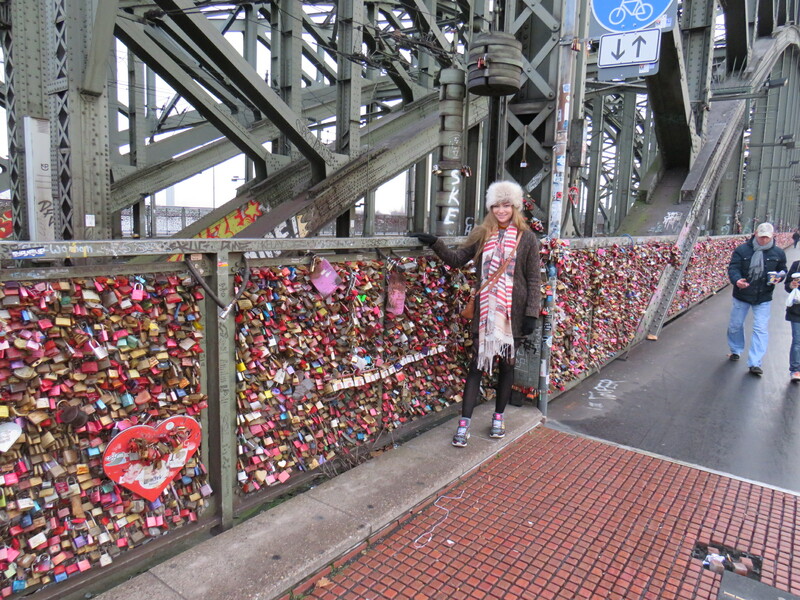 I cannot recommend this German city enough for a low cost excursion. Hotel: Hotels were also cheap in Cologne so with just a one night stay I needed somewhere central. I got a double room just yards from the heart of the city for just over €50. It was a three star, compact room but modern. Checkout the Dom Hotel. The rooms were clean and modern with breakfast included. The restaurant had a singer in at night belting out the tunes and the location was exceptional. Transport: A tram system runs from the airport directly to the heart of the city for just a couple of euro. Checkout the prices here. 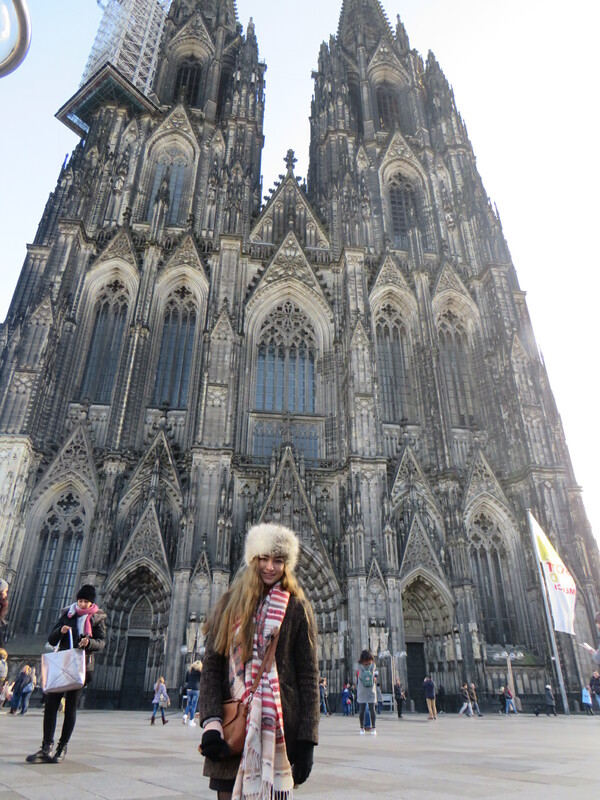 Cologne is a city that is easy to walk around so no transport passes needed. Cathedral: The first thing that greeted our eyes was this spectacular building that was both breathtaking and mesmerizing. It’s a Roman Catholic establishment. When we settled into our hotel we strolled out to see it in all it’s glory and it really took my breath away. As it was nightfall we came back again the following morning to take a look inside. Building began on this architectural masterpiece in August 1248. The Cathedral took 600 years to complete only to be damaged in World War 2. In the vaults of this striking building lies gold artifacts, chalices, ancient coins and more. German food: I’ve mentioned in previous travel posts that I always like to try local cuisine so it seemed German sausage was the best choice. I also wanted to eat in a local restaurant and so upon strolling around the streets we came upon a Christmas Market that was surrounded by eateries. When I say I wanted to try local cuisine, that’s exactly what I got. One large German suasage! And my god was it more than that. It came with mash and gravy and it was pretty decent. There was no room for any desert but our aptly dressed waiter decided to give us a shot after dinner. Sweet smelling like Nutella, I threw it back upon his order and holy god! Let’s just say it wasn’t anything like like that delicious chocolate spread! But all in all, the perfect German meal! 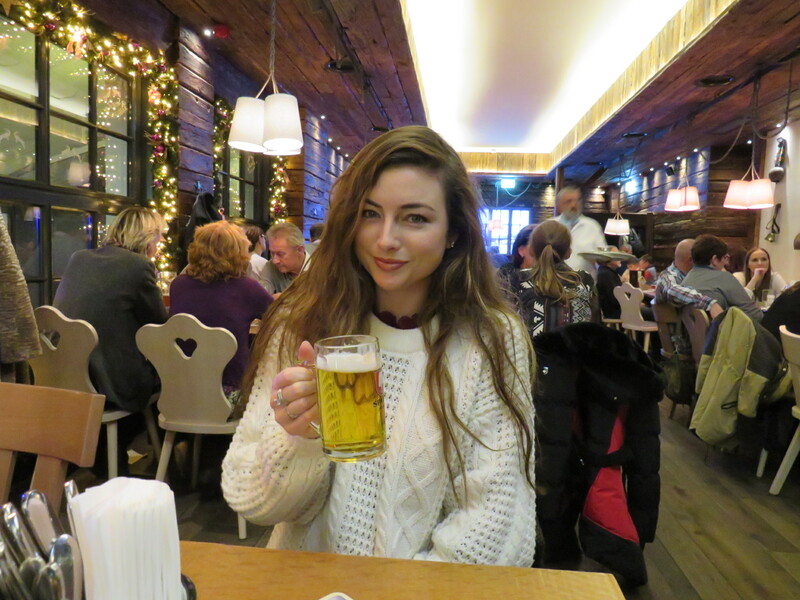 German Beer: I enjoy the odd craft beer and I always like to taste the local brew. Christmas markets: I know that by now the lights are off and the decorations are down not to mention the wooden huts removed but if you are planning a Christmas getaway for next year – Cologne is worth considering. It has a few markets dotted around the city – all of which we stumbled upon walking around. There is one outside the Lindt chocolate factory as well. Yes a chocolate factory!!! The water front: The River Rhine runs through Cologne and there are loads of boat tours on offer but if that doesn’t tickle your fancy you can always walk along the water front and stop as you please. I went along here early in the morning when it was extremely quiet and peaceful. There is also a cable car that will bring you from one side of the water the the other. Museums: Cologne has loads of art and culture on offer and there are numerous museums dotted around the city centre – the most being the Ludwig Museum. There is an Olympics museum as well as a chocolate one – so something to suit everyone.